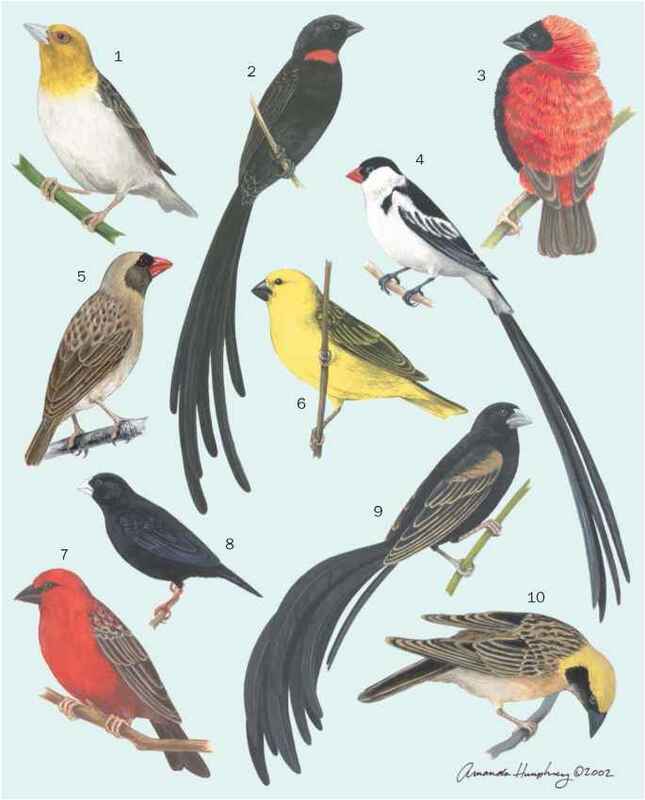 English: Stockwhip bird, green-backed whipbird; French: Psophode à tête noire; German: Schwarzschopf-Wippfloter; Spanish: Pájaro Látigo Verde. 10.4-12 in (26.5-30.5 cm); 1.6-2.5 oz (47-72 g). Dark olive-green body, black head with small black crest, white cheeks, and long tail. 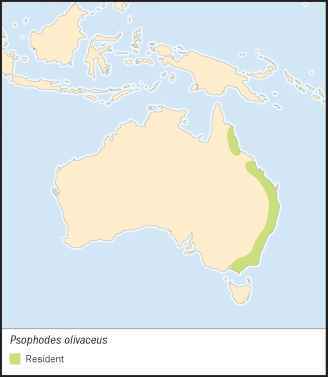 P. o. lateralis: northeast Australia; P. o. olivaceus: central east and southeast Australia. Rainforest, eucalypt forest, riverine vegetation, other low dense vegetation. Sedentary and territorial at all seasons. Usually stays on the ground or in low vegetation but may sing from high perch. Furtive and usually difficult to observe, but curious, approaching a quiet observer. Song an antiphonal duet, male producing soft swish then drawn out, explosive whip-crack to which female adds two quick, low notes. Eats insects and other small invertebrates obtained by rummaging through leaves and other litter on forest floor with the bill.